It looks like Samsung will be launching both the Galaxy A8 and Galaxy A8+ (2018) smartphones very soon. In the last couple of weeks, we have seen several leaks and heard rumors about Samsung's 2018 Galaxy A series upcoming smartphones. 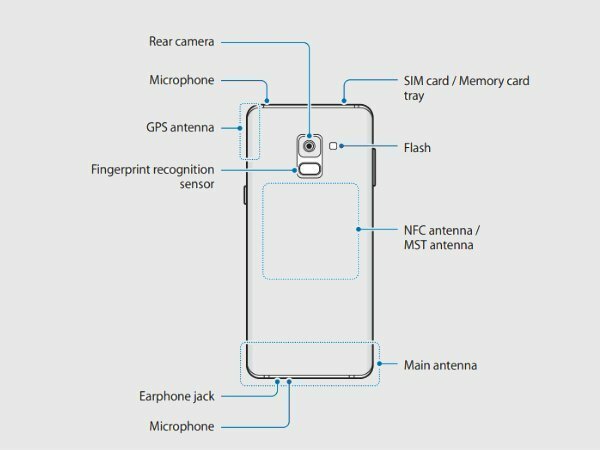 While Samsung hasn't officially confirmed the existence of the Galaxy A8/A8+ (2018), the company has now uploaded the manual for the unannounced Galaxy smartphones on its website. Besides with this, it appears that the company is giving us a last minute leak or teaser. It also looks like Samsung will be launching both the Galaxy A8 and Galaxy A8+ (2018) very soon. Just this morning we saw a Galaxy A8+ (2018) a hands-on video on YouTube and we pretty much have an idea of how the device looks. But now that the manual has been published it basically confirms so of the rumored aspects of the smartphones. As per the manual, the smartphones will come with 18:9 displays and dual-cameras in the front. We are not quite sure what inch display or what megapixel count the dual camera will have right now. The video leak suggested that Galaxy A8+ (2018) will likely come with a 6-inch Super AMOLED Infinity Display with FHD 2220 x 1080 pixels. The camera aspects are said to be a 16MP rear camera with OIS and f/1.7 aperture and dual selfie cameras with 16MP and 8MP sensors. That being said, the design of the two smartphones will most probably be the same but the differences should be in terms of specifications. 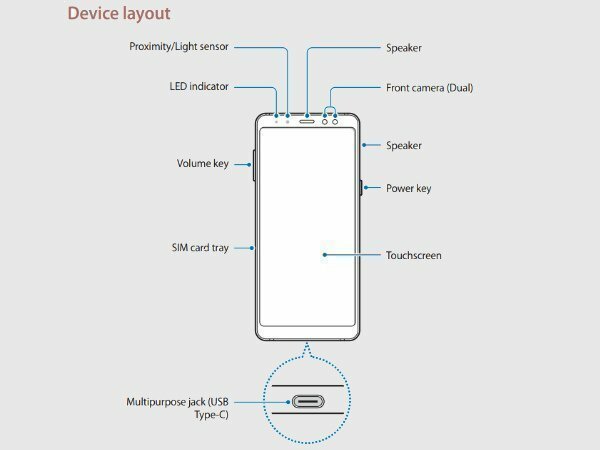 Apart from that as per the manual, the smartphones will come in single and dual-SIM variants and will feature an audio jack ports besides the usual USB Type-C, navigation keys, fingerprint scanner at the rear, most probably an Always-On Display, as well as LED notification light. The user manual doesn't explicitly reveal a lot of details regarding the upcoming device or devices, but it sure gives us a confirmation that the Galaxy A8/A8+ is indeed there. It might also be safe to assume that the launch is imminent.